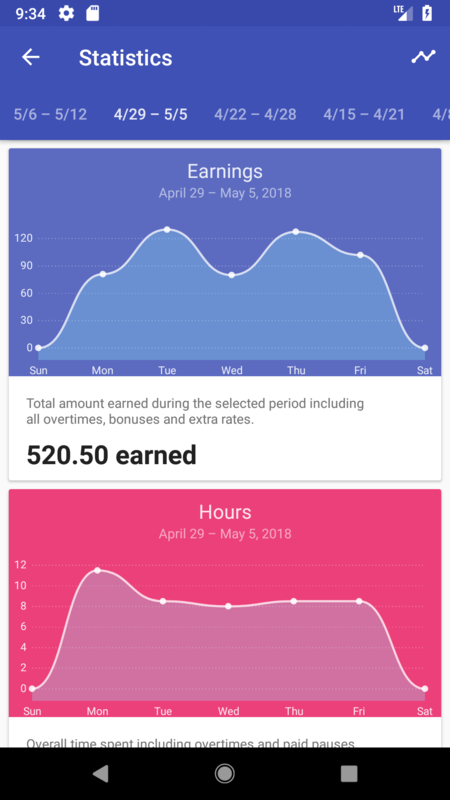 Track your salary with Timesheet. We believe in easy and effective salary tracking. 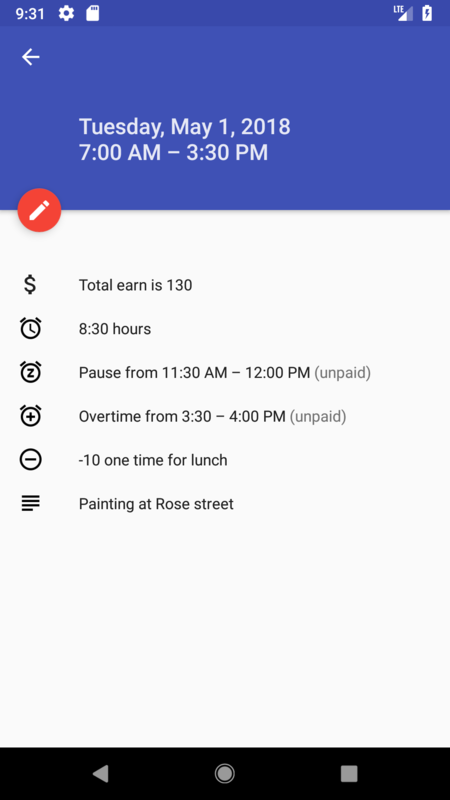 With Timesheet you can simply track your work hours, bonuses and expenses in the most intuitive look and feel. 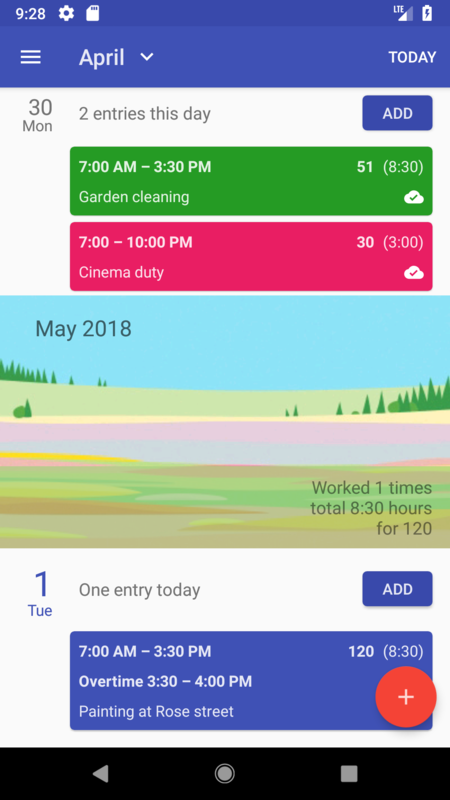 We've created Timesheet for people who need to keep the track. There are many hard working ones in the world. And everyone is unique. Some want to know if they get paid right, some need to send worksheets to a customer to pay them through. Other maybe just like the numbers. 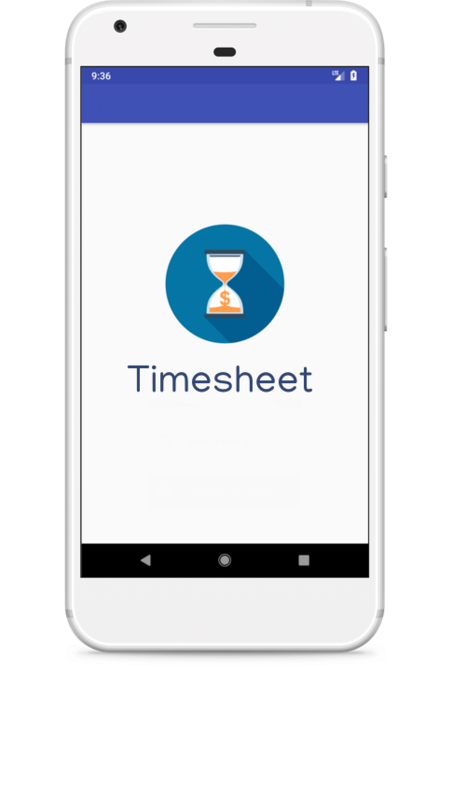 Timesheet is here to help with important aspects that matter. Salary, overtime, bonuses, expenses, notes... you name it. It's always easy to edit or copy any entry you need. Never lose your data again. Sync across all devices. Get effective. One click to create an entry from a template. Understand your income with charts and statistics. Export to Excel sheet and send it to employer or customer. Easy to use and love that you can backup your data entries. This is a great way for me to keep up with my time from work and my hourly rate. Thank you! 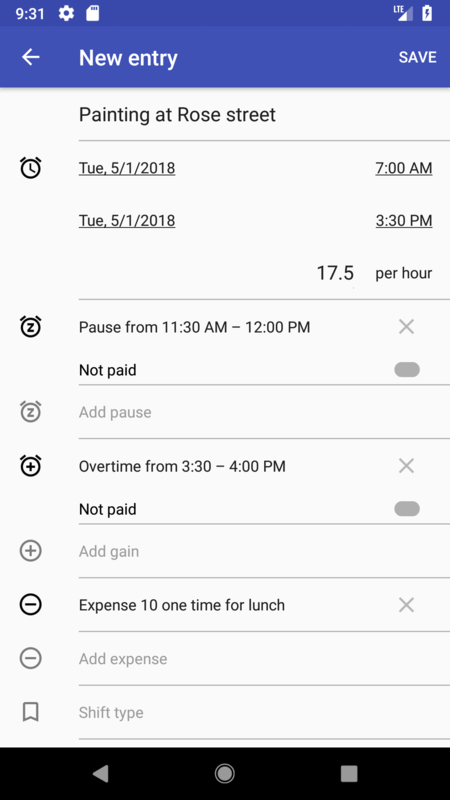 Very useful app with all functions I need to calculate my salary. Well done! Keep up the good work! Awesome, easy to use nice app. And no ads. This is what I looking for. Thank you so much. Simple and easy. Probably the best one I've seen. 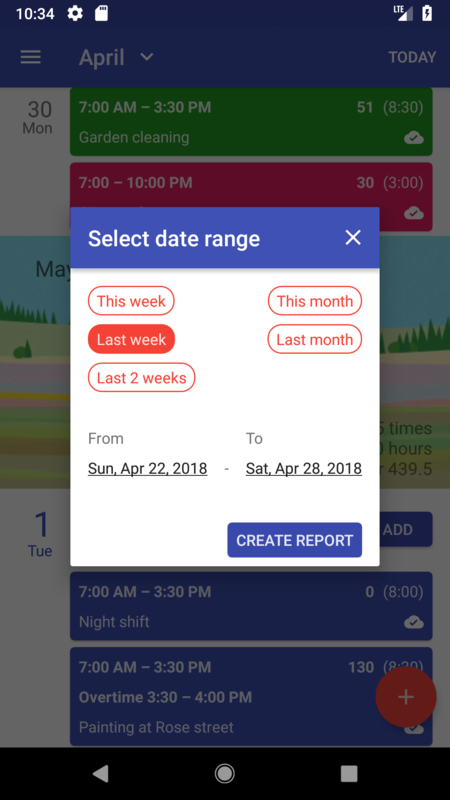 Timesheet uses simple but powerful interface. See the whole week or just the days you've worked on. Thanks to the Material design you are already familiar with the look and feel. We always go far and beyond so you understand all features right away. There is nothing worse than looking for a button forever or not knowing what just happened. With us, you are safe. Expand the left side menu and go to the Template settings section. Long press on any entry and you'll be able to copy it over to another day. Tap the plus button in the bottom right corner and you are good to go. We are looking forward to see us on the Google Play store. 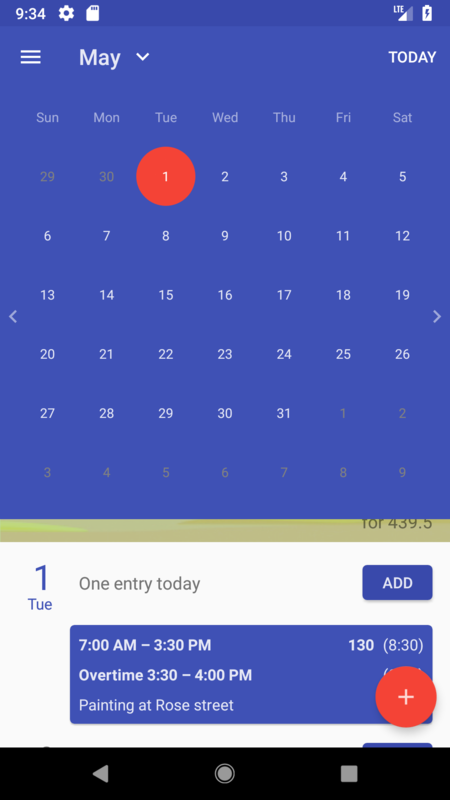 Click the button below or search for Timesheet on your phone.